Jonas Samson Wins NWHSAA 2A Girls Volleyball Championship! Congratulations to the Jonas Samson Stingers from Meadow Lake on capturing the NWHSAA 2A Junior Girls Volleyball championship. 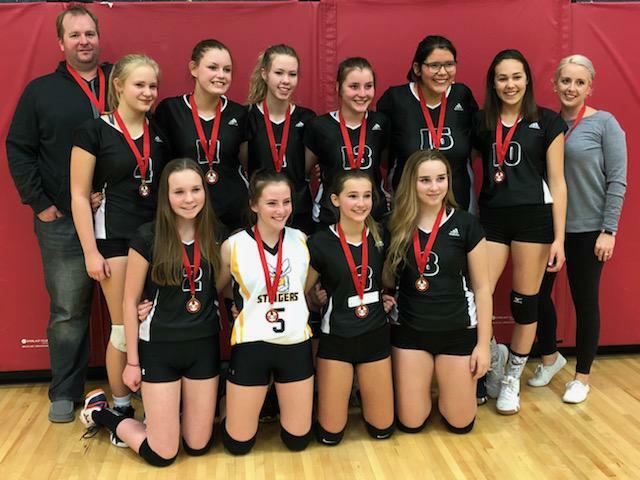 The event, hosted by College Park was held on October 27 and featured the host College Park team, the Bishop Lloyd Lancers and the ES Laird Sabres from Lloydminster. Dene High school from La Loche and Jonas Samson from Meadow Lake rounded out the competing teams. Congratulations to all the teams on an excellent day of Volleyball!